Visit one of Norwich's oldest and most fascinating buildings, dating back to 1320. Stroll through a maze of interlinked rooms enriched with textiles and period objects, bringing the days of the Tudors and Stuarts vividly to life. Marvel at the Tudor Great Hall where the high table is set for a feast. Visit the Great Chamber - recently re-opened as the business quarters of Sir Joseph Paine, a wealthy hosier and Lord Mayor of Norwich. Admire Lady Paine's 17th century bedroom and the beautifully panelled walnut room. 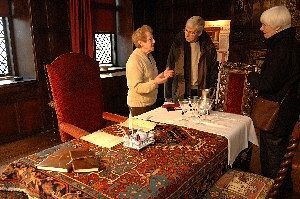 Try making a bed Tudor style and enjoy delightful collections of historic toys. Find out who the Strangers were on one of our regular guided tours and maybe meet a costumed character from times gone by. In fine weather, relax in the 17th century knot garden. 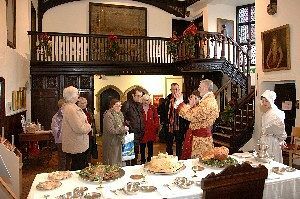 See the hall decorated in traditional style and take part in seasonal activities and tours.